Preheat your Yoder Smokers YS640 to 275ºF. Combine the belly rub ingredients (ginger, garlic, salt and Chinese 5 spice) in a small bowl and mix well. Rub a thin layer of soy sauce on all side of the belly, then distribute the rub evenly over the surface of the belly. 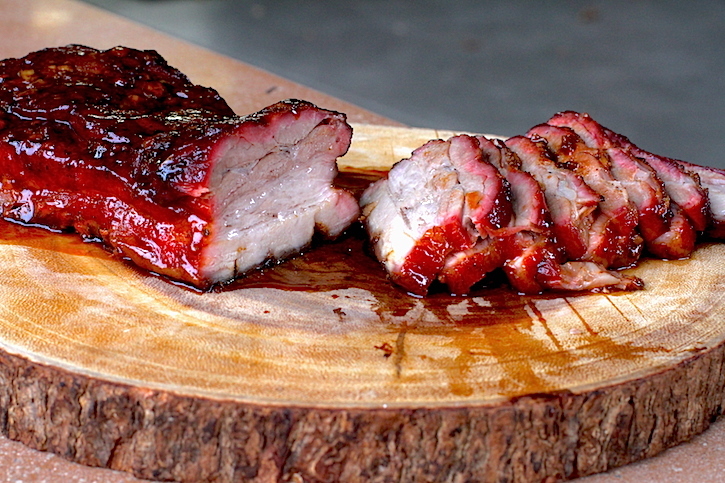 Smoke until the belly is a nice dark red/mahogany color (2-3 hours). Wrap the belly in foil. Return to cooker, increasing the temperature to 325ºF. Continue cooking until the internal temperature reaches 205ºF. Open the foil and brush on a good layer of Kim’s Gourmet Asian BBQ Sauce. Cook 10 minutes longer. Remove from cooker. Rest 10 minutes before slicing. 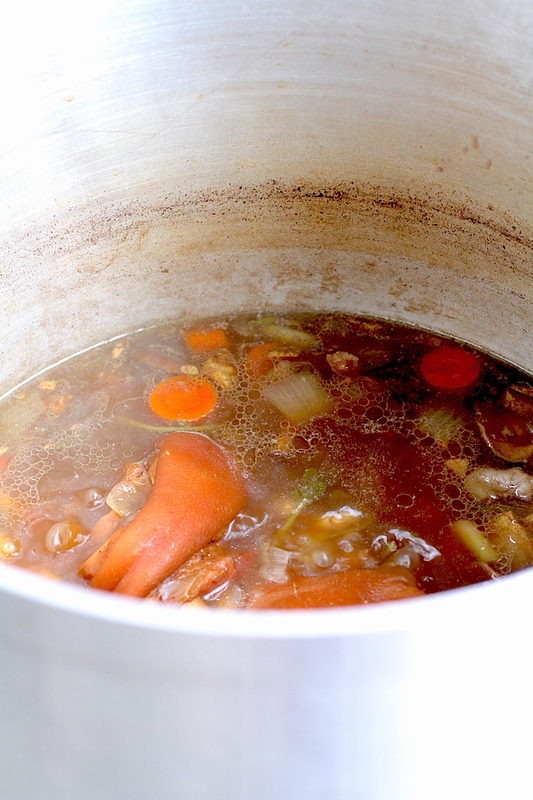 While the belly is cooking, combine all ingredients for the broth in a stock pot. Bring to a simmer over high heat. Reduce the heat, but maintain a simmer. Cook until the volume is reduced by about one third (1+ hour). Using a cheesecloth lined strainer over a large bowl or other container, strain the solids from the broth. Discard the solids. Rinse your pot, and return the broth to the heat (medium). You’ll need to add salt. Taste and adjust seasoning as necessary. Make sure the broth is very hot, not quite simmering. Cook the ramen wheat noodles according to the manufacturers instructions. Build your bowls. 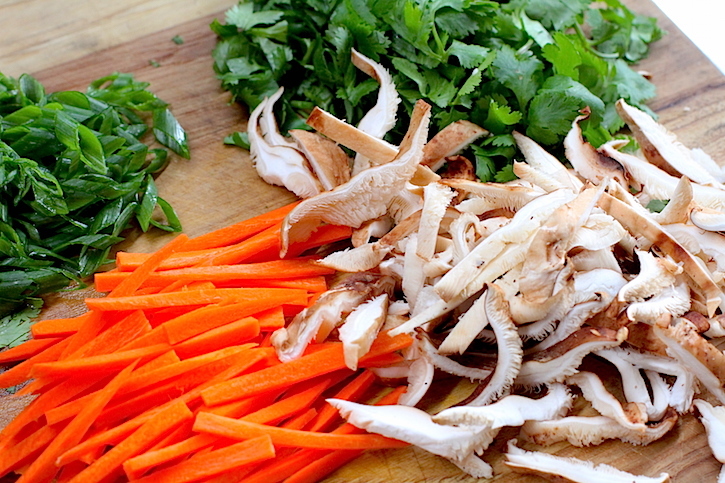 Place a small amount of the julienned carrots and sliced mushrooms in the bottom of the bowl. Top with some ramen, sliced pork belly, cilantro and green onions. Ladle the hot broth over the top to fill the bowl. Serve hot. Here’s another winter warmer. It’s ramen. But this isn’t your dorm room ramen. 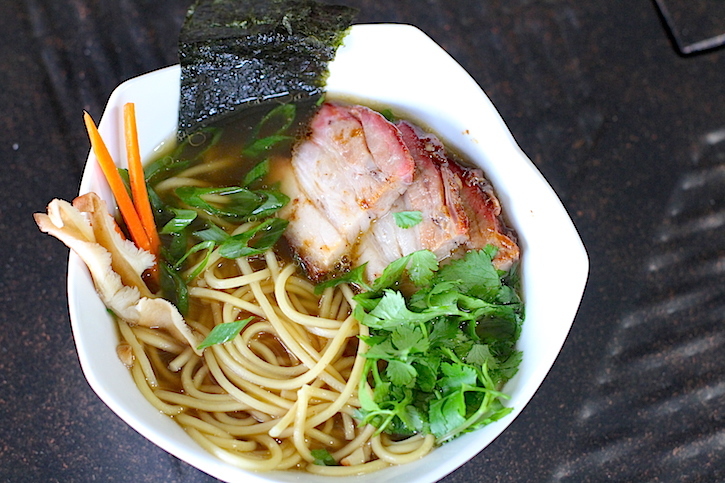 This is 100% made from scratch, big flavor ramen with smoked pork belly. It takes a bit more than a cup of water, a flavor packet and a microwave, but the payoff is worth it! 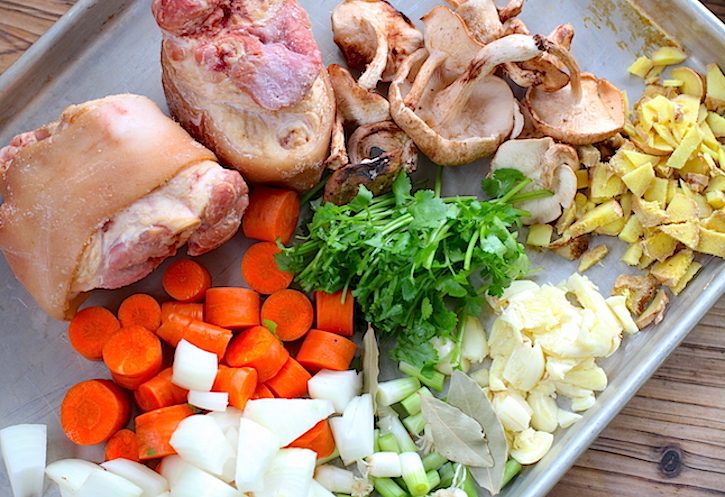 Making your own broth is where you really get a chance to make the flavor big and make it your own. Reducing the broth allows those flavors to concentrate, so they’ll really shine when the broth hits the bowl. 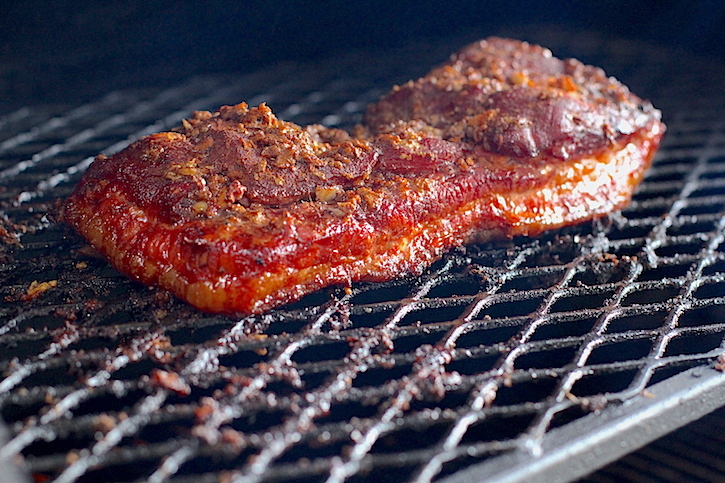 Smoked pork belly gives the dish great smoke flavor. Kim’s Asian BBQ Sauce lends sweetness.